Following up on the recent two-day conference on reparations in Antigua, where the chairperson of the Caribbean Community (CARICOM) Reparations Commission Sir Hilary Beckles said that the Commission is working towards mounting a region-wide rally to demand reparations, the leader of the Nation of Islam, Louis Farrakhan, says that one cannot forget the Papal Bulls and the Catholic Church; he is calling on Caribbean countries to demand reparation for slavery from the Roman Catholic Church in addition to Europe. Farrakhan, who was addressing the 19th anniversary of the “Million Man” march here on Sunday, said the Roman Catholic Church must be included in any discussion on the issue of reparation. 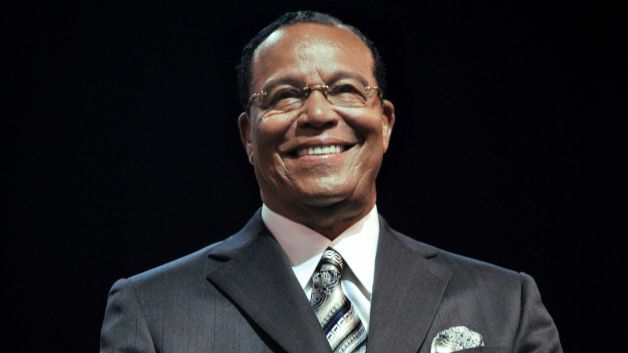 “When you talk about reparation, you can’t leave the Pope out….There was something in the Catholic Church called the Papal Bulls authorising slavery, it is a type of letter issued or patent by the Pope,” Farrakhan told the ceremony that was also attended by government ministers. He said Pope Nicholas V issued a Papal bull granting Portugal and Spain, “full and free permission to invade, search out and capture… and unbelievers and enemies of Christ wherever they may be and reduce their persons into perpetual slavery”. Farrakhan said even in today’s world, this Papal Bull is being regarded as “an endorsement of slavery ….so when we are asking for reparation, we can’t leave the church out. “You can’t leave the Pope out, nor can you leave European countries out,” he added”. Last week, at the end of a two-day conference on reparations in Antigua, the chairperson of the Caribbean Community (CARICOM) Reparations Commission, Professor Sir Hilary Beckles, said the movement has been energized and the Commission is working towards mounting a region-wide rally. “We are going to organize, with the support of all of these national commissions, a regional rally in which we will move the reparations banner from the northern Caribbean, through to the centre, to the south, all the way through to Brazil,” Sir Hilary told reporters at the close of the Second Regional Conference on Reparations late Tuesday. The renowned historian and Principal of the Cave Hill campus of the University of the West Indies (UWI), said such an event would engage the talents of artists, musicians and youth, while bringing regional and global attention to the matter.